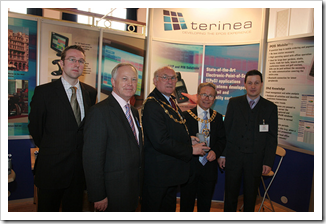 Last year I attended my first business to business trade with Terinea. We didn’t gain any worthwhile leads from the show. Six months later at another B2B show I decided to take a blogging approach to marketing the company. It worked, resulting in Terinea gaining two important customers. 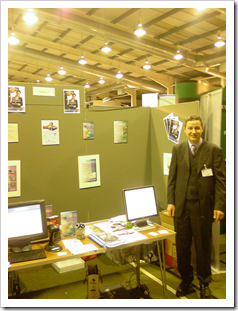 After exhibiting at the poorly attended Hospitality South East 2006 trade show, I realised that I didn’t come away with any useful information from other exhibitors, just marketing brochures, free pens and various leaflets that I binned recycled the next day. From show itself we didn’t create any decent leads,which was made worst by the fact our stand, takes five hours to construct and then three hours to pack away. Oh well, at least we had our picture taken with the local Major! 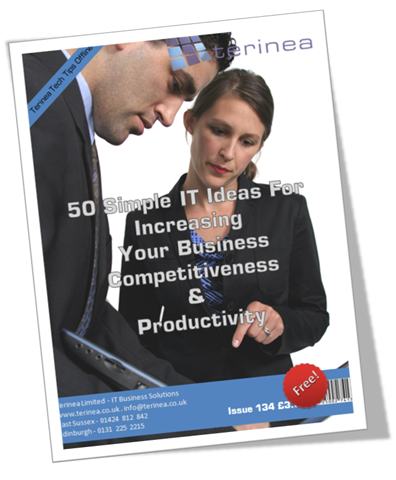 So at the next trade show, Let’s Do Business 2006, I decided to print out a number of copies of a blog posting I was working on, 50 Simple IT Ideas For Increasing Your Business Competitiveness & Productivity. I found it much easier to talk to potential clients about our services when I was giving them free advice (printed copies our blog post). Couple of months later we gained two customers which have generated us a considerable amount of work since the show, result! 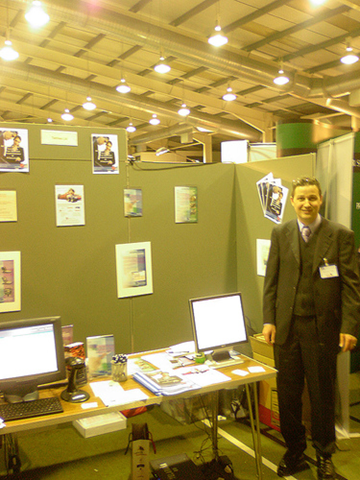 After the poor turn out of Hospitality South East 2006 trade show, we weren’t in the mood for setting up our rather large stand for Let’s Do Business 2006, hence our poor stand last year (picture above) .Which is probably a bit like having a poor looking web or blog site. Needles to say at this years show we have booked a bigger stand space and will be taking our professional stand with us. So Terinea is pleased to announce that we will be attending this years show. Catch us at stand HI6 for Terinea Weblog offline! I’m not a very pushy type of person when it comes selling our business services, but I am passionate about our company blog, proud of it. I think this separates us apart from the competition. Maybe you run a business blog and feel the same way? So next time your attending a networking event, why not take copies of your most popular blog posts, maybe includes some of the comments. Has anyone else used this approach before? What a great example Jamie – and I love the way you’ve used a blogging approach (telling a story) to make your point. I agree with you that the mindset, approach or philosophy of blogging is one that can transform experiences offline too – but it’s great to have examples of how that can work in practice. Thank you Joanna for your kind words. That is great idea, I could give examples of advice actually being used in real businesses. I’d not thought about that before, and definitely one to use next time I’m out and about, networking. Going to start thinking about our next offline blog post pretty soon. Danielle – I suppose you could call it offline link baiting? David – I would be interested to see how you use it, you have some great posts so it would be fairly easy for you convert one. This is a really cool concept that I never thought of before… perhaps I will give it a shot at the next trade show I go to!